Nissan makes a crossover called the Rogue. Last year, a Star Wars movie called Rogue One came out. The brand synergy was obvious. 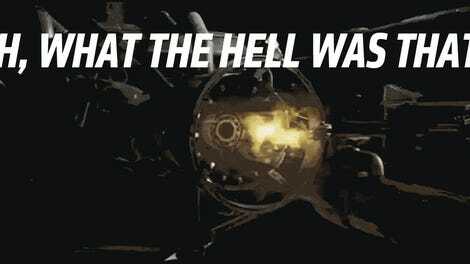 (It has to do with the word “Rogue.”) This year, Nissan is again a brand partner of a new Star Wars movie. Why? Who knows. What does this include? Well, a bunch of useless Star Wars-themed cars, for one thing, like a Kylo Ren-inspired Nissan Maxima and a Nissan Rogue that has X-wing wings on it for some reason, in addition to BB-8. There will also be an “augmented reality” experience at Nissan dealerships in December, which will let customers look at droids and stormtroopers from Star Wars: The Last Jedi. But don’t take my word for it. Here’s Jeremy Tucker, vice president of marketing for Nissan North America, both promoting Star Wars and finding the time to dump on Santa Claus (!) in a single sentence. While the competition is focused on Santa Claus and red bows this holiday season, we are filling our dealerships with stormtroopers, Virtual Reality and the new Augmented Reality Experience, making the Nissan shopping experience much more fun, engaging and educational. Yes. Finally a company bold enough to acknowledge the inherent flaw in Christmas marketing. That inherent flaw is Santa. 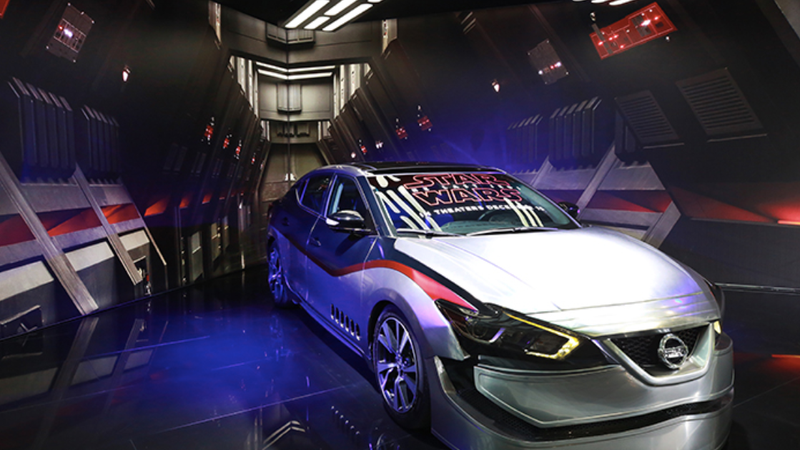 Anyway, if you’re in Los Angeles for the auto show, stop by the Nissan booth, where they have some cars and X-wings. Nissan also debuted its new Kicks crossover, but that, as far as I can tell, has nothing to do with Star Wars (thankfully). Who is all this for, exactly? I can’t really tell! Children, perhaps, though they don’t buy cars. And even the dimmest grown-up car buyers, I suspect, will be more worried about loan interest rates and whether a given car is actually suited to their particular needs and whether a given car is actually, you know, good, though I’m happy to concede that there might be a few car buyers out there who will be taken in by the Star Wars connection. The same people, presumably, distracted from the task at hand by a bell ringing in the distance. Nissan began partnering with the Disney film franchise last year, when it used the “Rogue One” film to plug its Nissan Rogue SUV. That campaign drew 1.8 billion impressions, while helping fuel robust sales, according to Nissan. Nissan sold 327,213 Rogues in the first 10 months of this year, up 24.5% from the same period last year, according to Automotive News. What counts as an impression? Don’t worry about it! It’s all working.